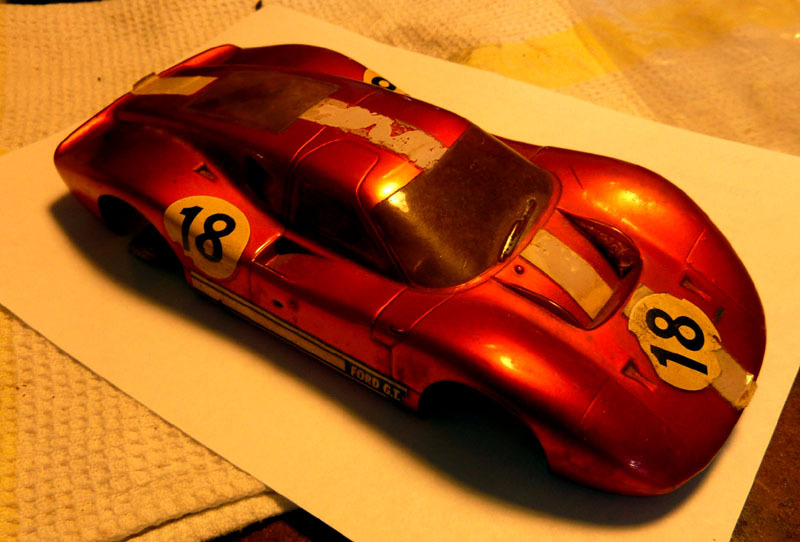 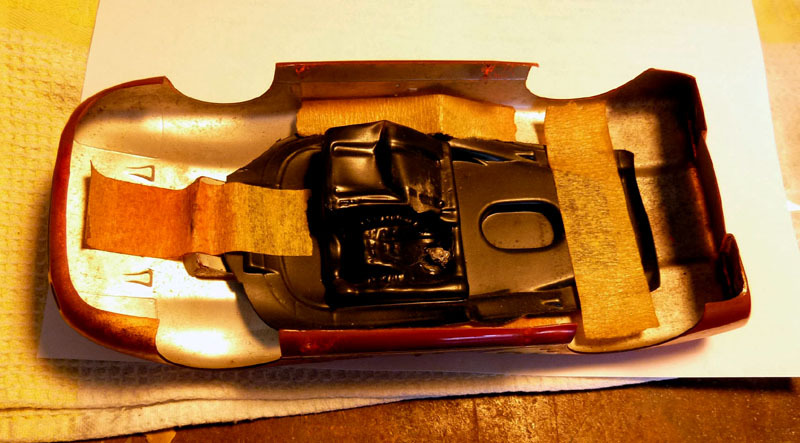 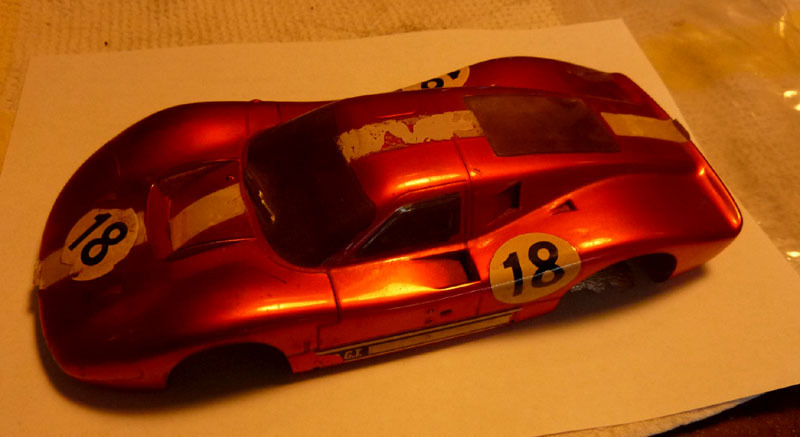 Pactra was already in the model paint business when slot car racing hit the market. 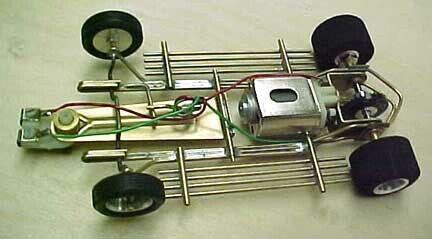 Pactra imported the Japanese Igarashi/Hitachi motors and had complex soldered brass tubing chassis fitted around the smaller version of these motors and were sold in kit and RTR versions. 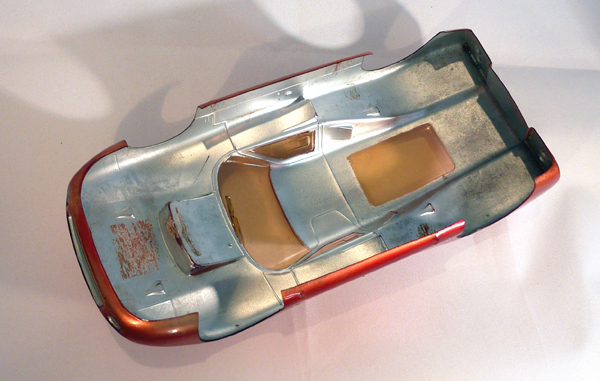 Sometime around the 1966, Pactra acquired Stormer Bodies and began producing their own line of high quality vacuum-formed clear plastic scale bodies. 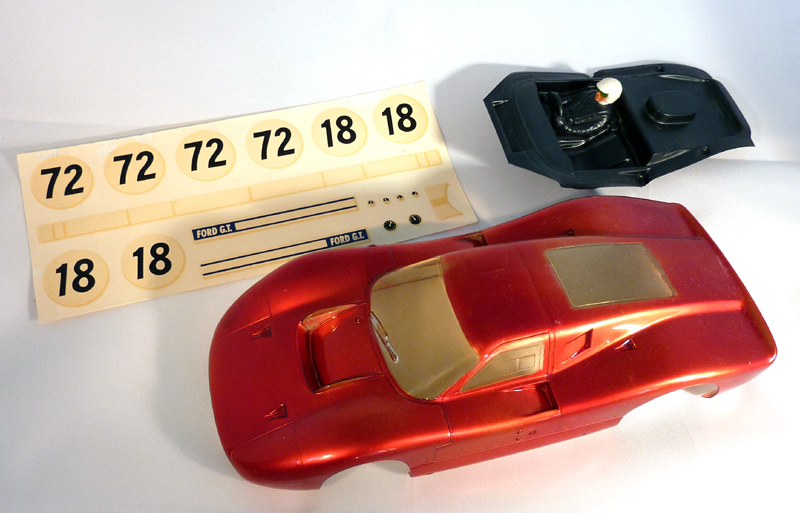 Pactra produced scale bodies of many different types of cars, including fantasy show cars such as the Astronaut and the Jupiter. 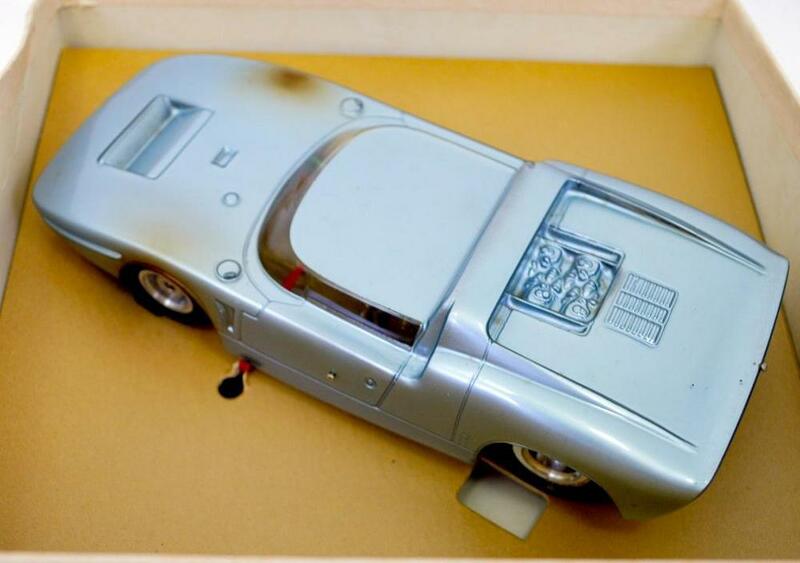 It is important to note these two bodies were not Thingies, as there actually were prototypes of these cars. 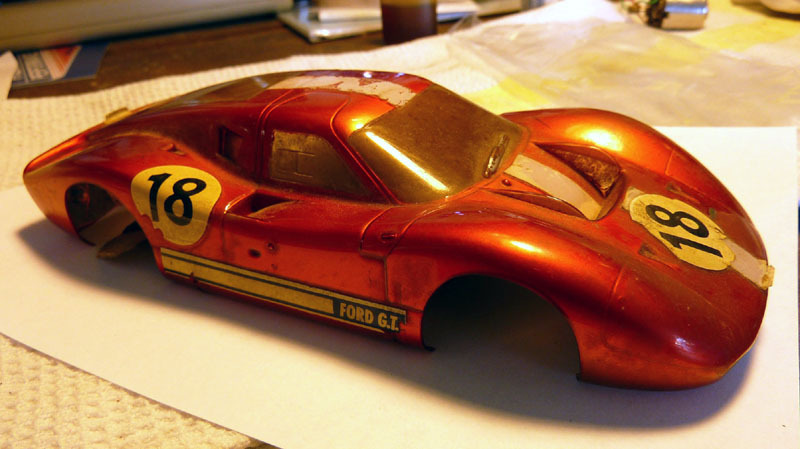 After purchasing Stormer body company (Pactra was briefly known as Pactra-Stormer Corporation) they also acquired the Competition Products slot car manufacturing company in Santa Ana and used it as a low-cost product line. 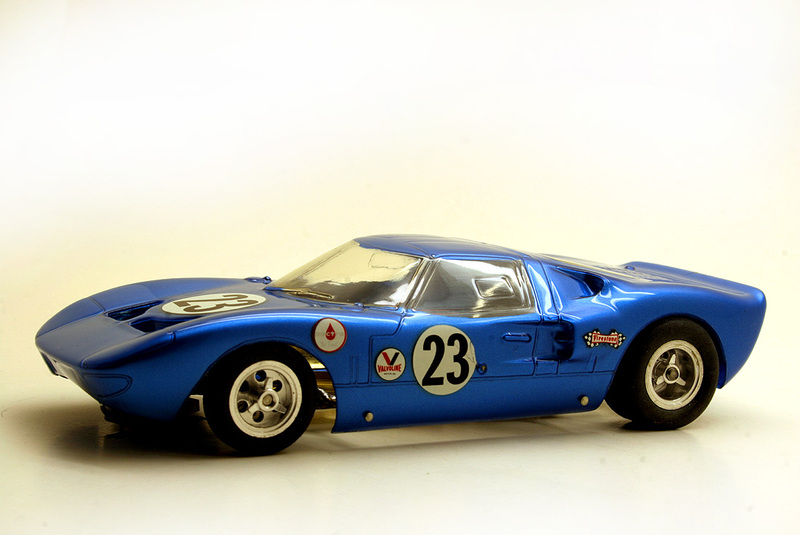 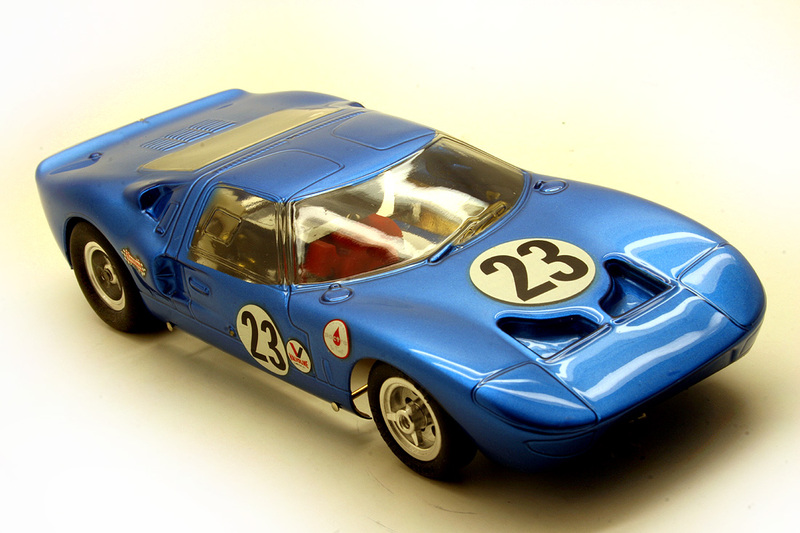 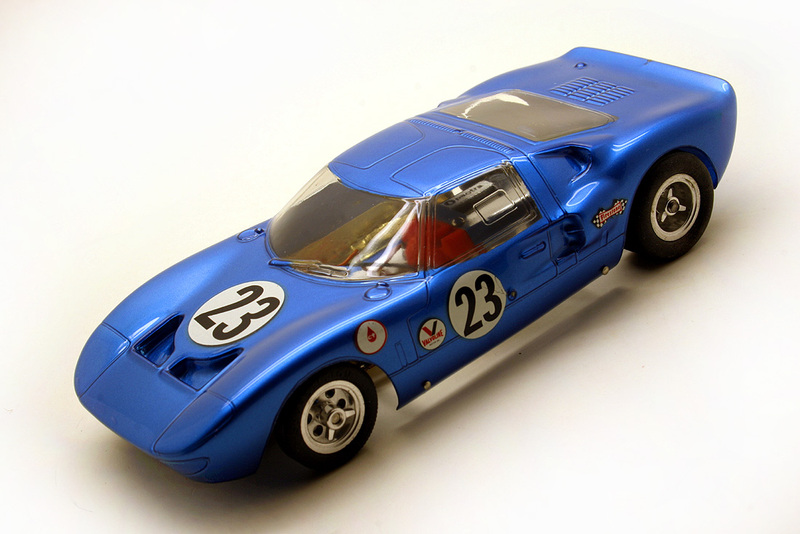 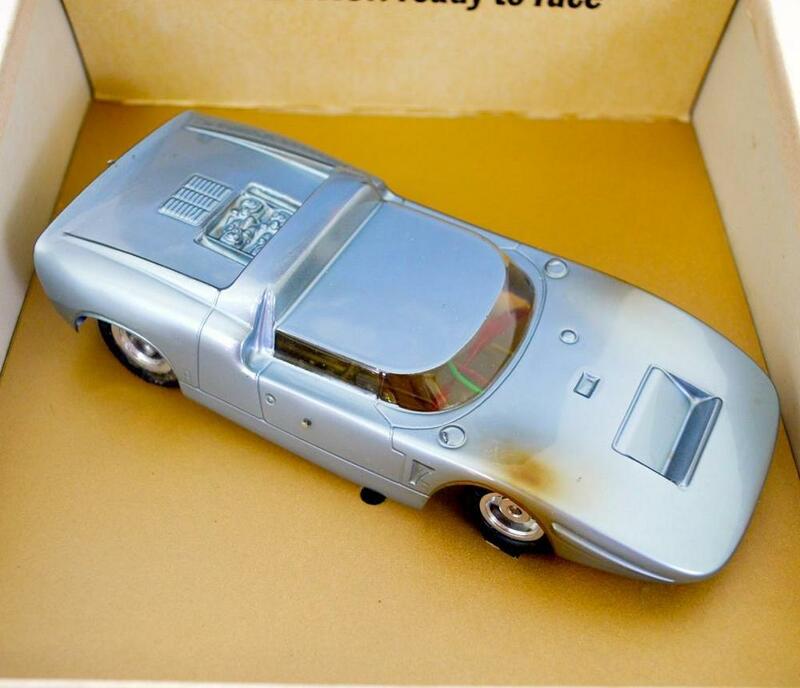 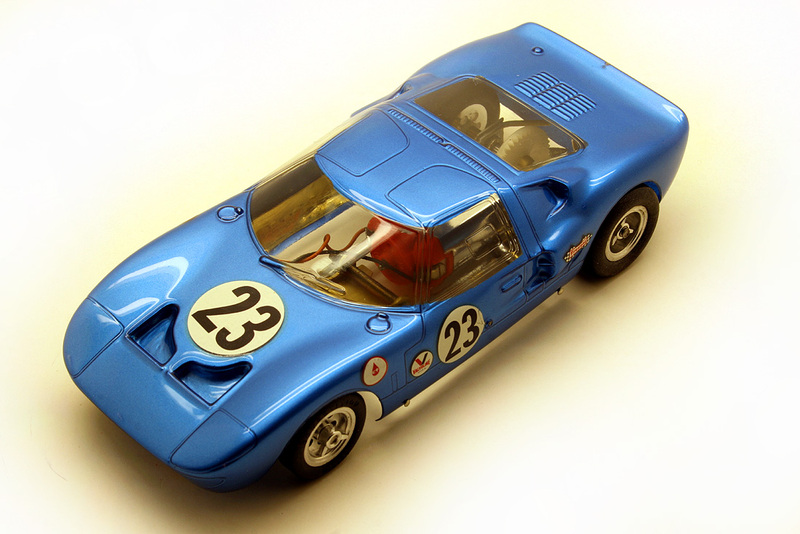 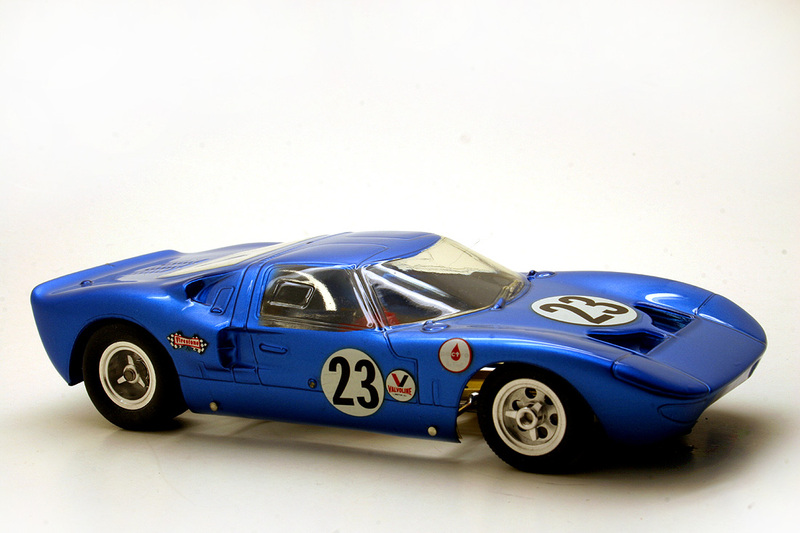 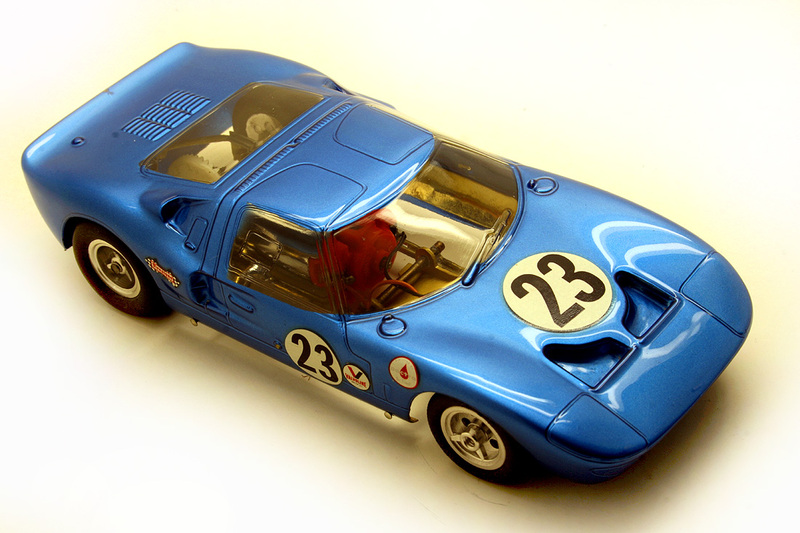 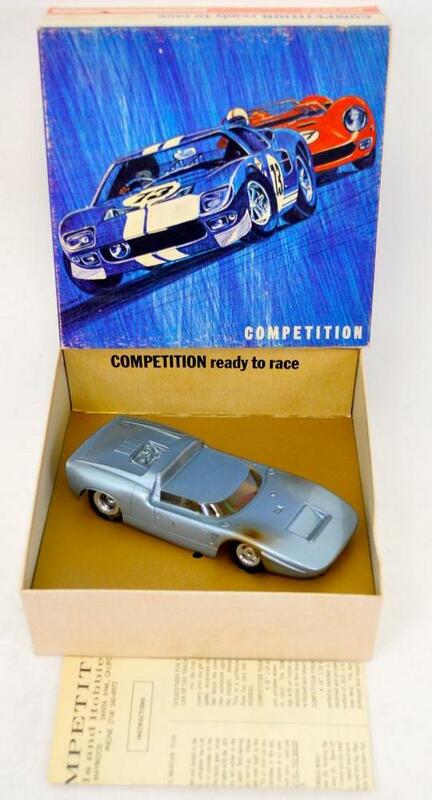 Unfortunately it seems that their production of slotcar bodies was all too brief and stopped manufacturing in late 67, but not before producing a Lancer supplied Ford GT40 MKIV in a RTR version. 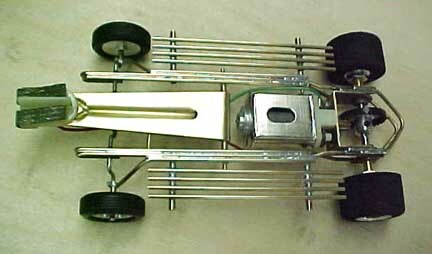 These RTR had and iso-fulcrum steel and brass-rod chassis with an aluminum drop arm bolted to the motor and are considered very rare.